After the huge success of last year’s Regent Street Motor Show, Saturday 1st November will be the date for the 2014 Central London automotive extravaganza. In 2013, the traffic-free zone stretched from Piccadilly Circus right up to Oxford Circus. Proving massively popular with over 400,000 visitors who enjoyed a mile of sparkling displays featuring 300 iconic cars from the past, present and future. 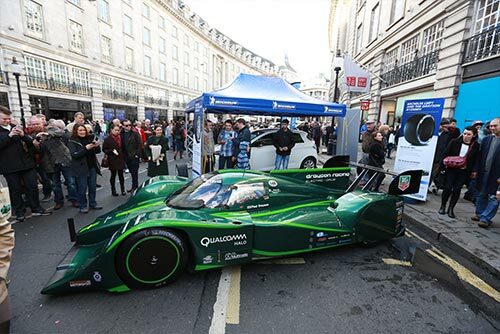 “The Regent Street Motor Show is now a firm fixture in London’s calendar of events attracting visitors from around the UK and overseas,” said Annie Walker, Director of the Regent Street Association. 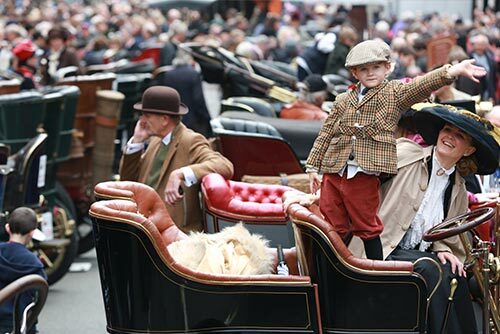 Timed to coincide with the annual running of the Bonhams London to Brighton Veteran Car Run, the 2014 Regent Street Motor Show, a Royal Automobile Club event, again includes a large number of the pre-1905 cars in the coveted EFG Concours d’Elegance. This grand arrary of veteran cars will then set off from Hyde Park early on the morning of Sunday 2 November, as they make their way to the Sussex coast. While the line-up of machines from the dawn of motoring is always extremely popular, the Regent Street Motor Show also provides manufacturers with an ideal opportunity to show their latest cars and technologies to a vast audience. Last year electric vehicles like the Renault Twizy and BMW i3 were a big hit with the London crowds, with potential owners keen to get close to these cutting-edge, Congestion Charge exempt cars.